Give patrons with access challenges such as low literacy, vision impairment, attention and focus disorders, dyslexia, and language barriers equal opportunity to use library resources. Innovative websites that supply you with the means to showcase the things that matter most to your community. 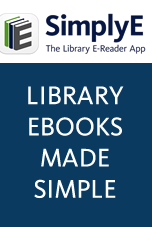 A flexible, tailored time and room management solution that allows libraries to more fully engage users. Increase your visibility through elegant, effective marketing and design. Broaden your reach and provide library services to new audiences with online card registration.